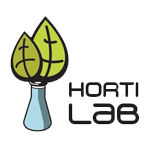 Working in the former Spice of Life Seeds facilities in Switzerland 12 years ago was a major inspiration for the maestros from Horti Lab! Back in the day it became very clear, that there are many more flavours to be discovered in the marijuana world then what is commonly used by the established Dutch and Spanish seed companies and clone growers. And the founders of Horti Lab wanted to explore all of them. Find out what they\'ve achieved so far! We can tell, when it comes to Horti Lab, quality beats quantity every day!